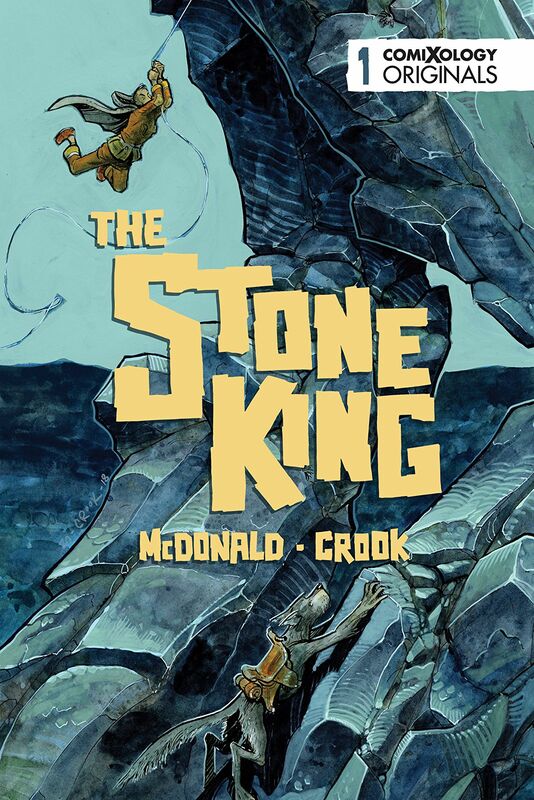 ComiXology, Amazon’s premier digital comics service, debuts issue #1 of the 4-part miniseries, The Stone King, a coming-of-age fantasy adventure written by Kel McDonald (Misfits of Avalon,Cautionary Fables and Fairytales) with gorgeous art by Tyler Crook (Harrow County). 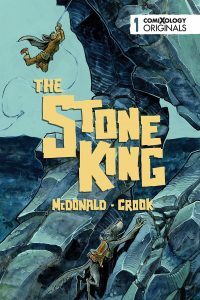 The highly anticipated series features a rock giant, a flying dog, and a young teenage thief who must learn to take responsibility for her mistakes. Kel McDonald has been working in comics for over a decade, spending most of that time on her webcomic Sorcery 101. More recently, she has organized the Cautionary Fables and Fairytales anthology series, while contributing to other anthologies likeSmut Peddler and Sleep of Reason. She has also worked on the comics Buffy: The High School Years. She recently finished her creator-owned series Misfits of Avalon for Dark Horse Comics. She is currently working on her self-published series The City Between.